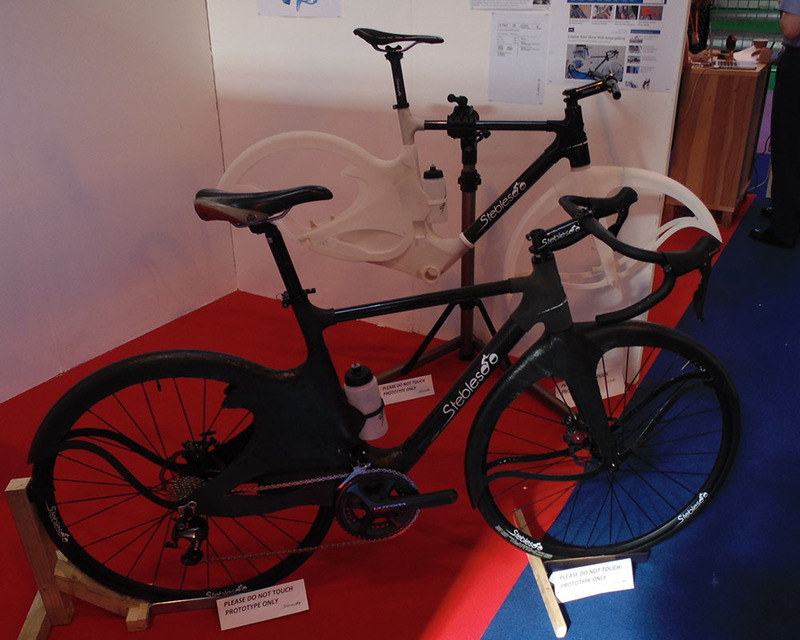 I was at the Gadget Show Live in NEC Birmingham and got a sneak peak at some of the best technology in the world. There are way too many things to talk about in a single article, which is why I’ve decided to make a number of spotlight videos for ALL the things I saw at the show. Keep an eye out for those later. Instead, I will pick my favourites from the show and share my general experience. The very first thing that hit me when I entered NEC was how much bigger it was than the International Centre in Telford or the Swedish Exhibit and Congress Centre. And the place was packed from wall to wall with booths, stalls and enclosures. I was like a child in a candy shop, and thanks to my press pass, I had 2 hours basically alone with all of it. Needless to say, I didn’t even make it a quarter of the way through before the show opened to the general public. 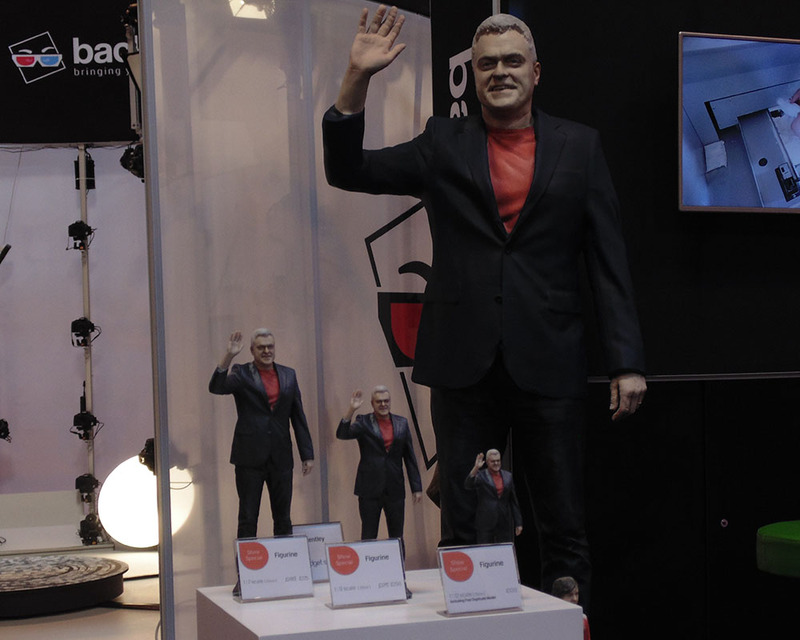 But in that time, I had already gotten to fill my pocket twice over with business cards, taken photos of some of the coolest things I’ve ever seen, talked to people I’ve only seen on the TV screen before and even got myself a full body 3D scan, the latter courtesy of Backface. 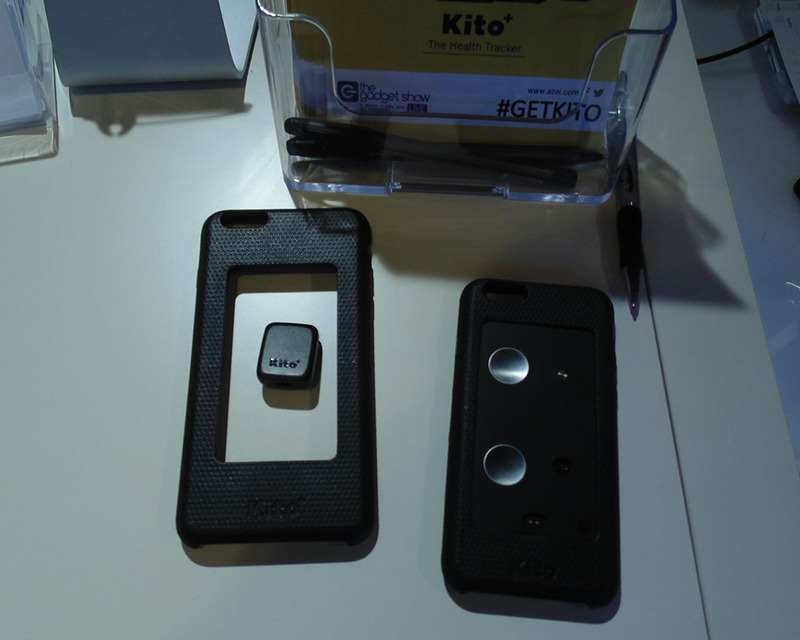 I happened upon Azoi’s booth, where co-founder Ami Karnik showed me the Kito Health Tracker. It is a cover for your smartphone that allows you to track your health in ways that other fitness trackers can’t, specially developed for people with health issues. As a former cyclist, I fell in love with the Stebles bike frame, a cover for your bike frame that prevents all mud and dirt from getting into your bike’s nook and crannies and also keeps the cyclist clean and crisp. The words Personal Transportation Robot was visible from across the hall and I just had to see what that was about. Ninebot did not disappoint. The hands-free monowheel segway was cool on its own, but add the remote control any parameter (speed, range, diagnostics etc.) from any smartphone and I just knew I wanted one. They also pooled together all their tech into a transportation aid for people with disabilities, into what can closest be described as a weight-controlled wheelchair. An invention doesn’t need to be big or complicated. Sometimes, the simplest things that nobody thought of before could be just as cool. Such is the case with SlingGrip. It’s a strap that attaches to the back of your phone or tablet. 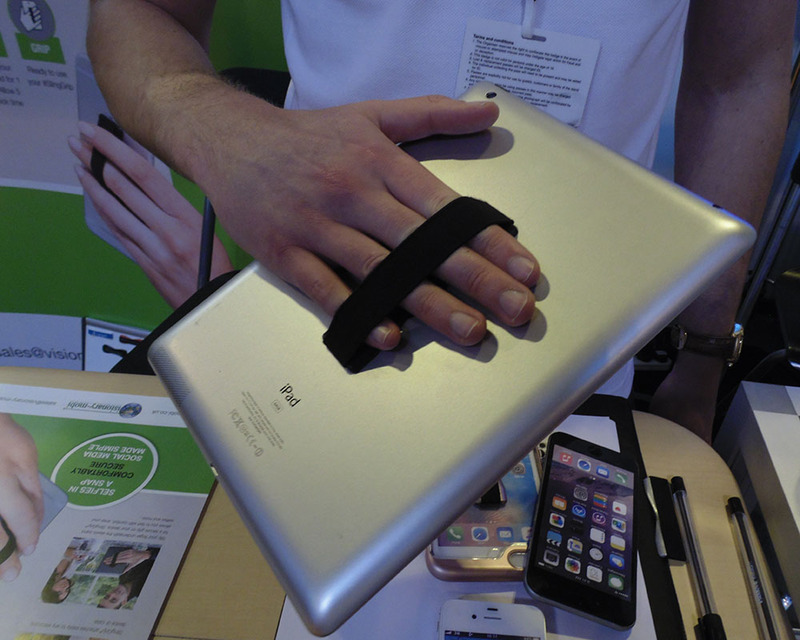 You slide your fingers into the strap and you get a much better one-handed grip of your device, allowing for much more mobility while your device is secure in your hand. Education, entertainment and experimentation all rolled into one. The Pi-Top gives you all of that and more. 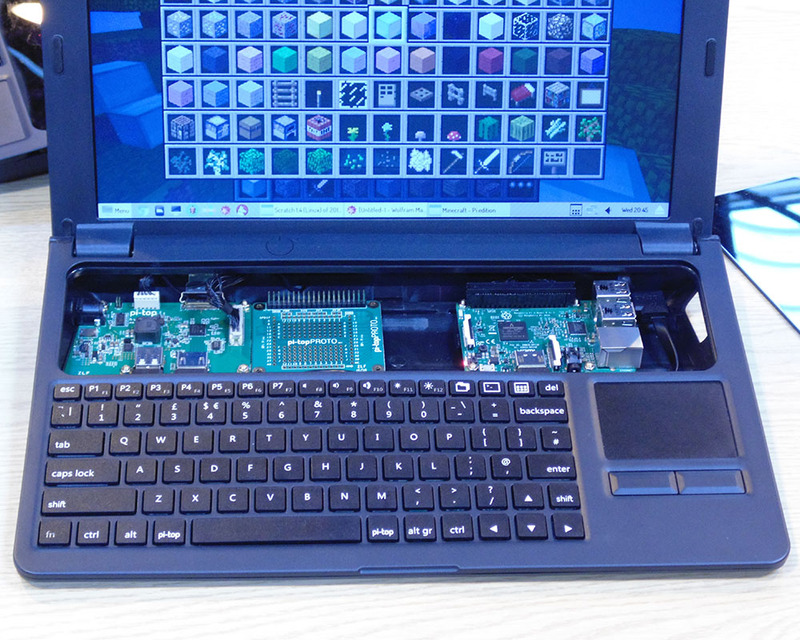 It’s a laptop powered by Raspberry Pi, pre-packed with educational tools like a game which allows you to learn code to complete quests. You can also pop open a panel and access the hardware directly, which comes with an experimentation board where you can attach electronic components like LED and transistors, which you can code directly from the Pi-Top. A Pi-Top with the hardware hatch opened. And yes, it is running Minecraft smoothly. There is so much more I wish I could write about right at this moment. Stay tuned for the spotlights that will be with you in the following few weeks. In the meantime, enjoy our little teaser trailer.